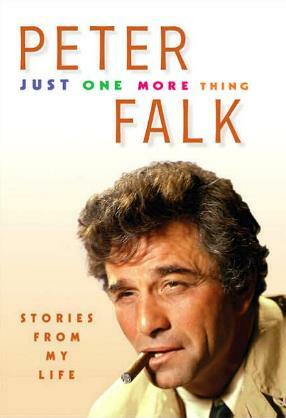 Peter Falk played the loveable detective Columbo on television to great acclaim. He also loves to draw and there are a few of his drawings scattered throughout the book. At three years old, he had retina blastoma and had to have an eye removed, hence the now trademark and familiar glass eye. The story of his life, to read, is disjointed and anecdotal, with short and sweet chapters, and it feels rather like a narration in his own inimitable way. He talks about his "college career", the jobs he took along the way, the adventures he got up to, and his few attempts here and there in acting. Stage acting saw The Iceman Cometh (with Jason Robards) as his debut. The coming together of the Columbo character is deliciously interesting. I found it fascinating how the memorable little touches came about to end up becoming a classic television show. He also talks about the many people he's worked with but not much about his personal life. I love how Mr. Falk says he wrote the book the way he likes to read - at night - 12 pages at a time. Fab. The way I like to read (short chapters) - short and succinct, but not just 12 pages at a time. Some of the movies Falk starred in are, Murder, Inc.; Pocketful of Miracles, It's Mad, Mad, Mad, Mad World; Robin and the Seven Hoods; The Great Race, and so many more. Falk was also nominated for two Academy Awards. Conclusion - Decidedly tongue in cheek, hilarious, and beautifully crafted. Loved it.